Our ultra-precision tool spindle model ASD-Cx (x = tool shank diameter) combines Ultra-Precision, speed, robustness and CNC functionality to machine optical and high-precision parts at high-speed on CNC machine tools. 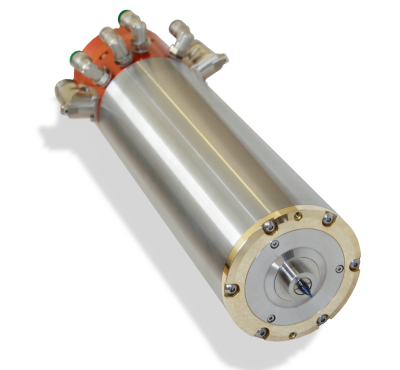 This includes an auto collet tooling system, a high-resolution rotary encoder, a high-efficient thin-film liquid cooling and a standard size steel housing. As a result and for the first time ever the user of CNC machine tools now get the opportunity to mill and grind optical and high-precision parts to a quality only known from Ultra-Precision machine tools without scrifying CNC functionality and productivity. On the other hand the user of Ultra-Precision machine tools now can add high material removal rates, automated tool change and a significant increase in automation to Ultra-Precision machining. Like our ASD-H25/A also our ASD-Cx is available with high-pressure aerostatic technology, also known as UASD-Cx. Running on 20-30 bar bearing supply pressure the high-pressure aerostatic version UASD-Cx provides 3 times the load capacity in axial and radial direction for a significantly increased robustness. Our in house designed and manufactured collet systems offer a unique tool run-out of under 0.5 micron. To get such low run-out values the collet is adjusted to the spindle. 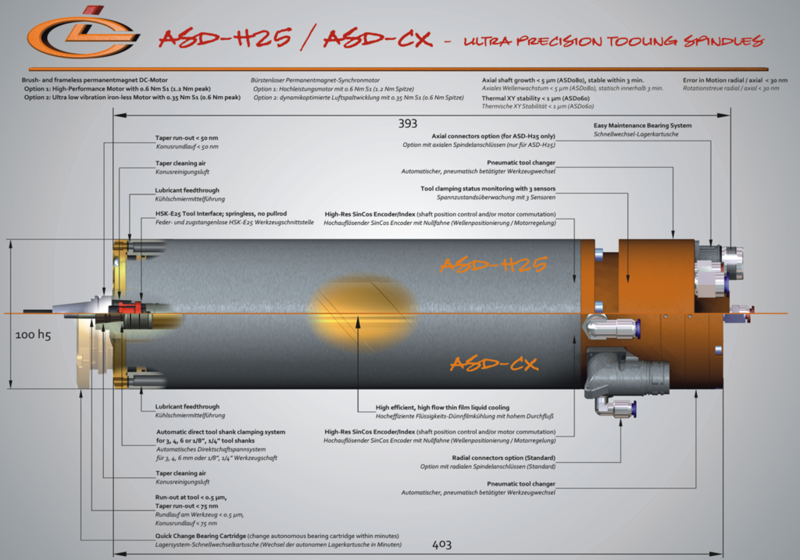 Download and save the PDF catalogue of our ASD-H25 and ASD-H25A for detailled product information. 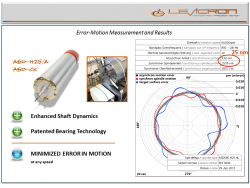 The bearing-shaft design of our spindles are strictly optimized for best shaft dynamics. Means, a light and stiff shaft design combined with high bearing stiffnesses for a resonance-free operation from standstill to top speed. 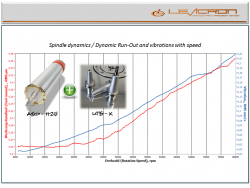 As a result the user not only gets a robust high-speed spindle with a load capacitiy better than with any other aerostatic high-speed spindle, he also gets a dynamically neutral spindle operation over the entire speed range with a dynamic tool run-out of better 0.8 micron. Levicron has developped mathematical methods and test benches for the multi-probe measurement of Spindle Motion Errors. 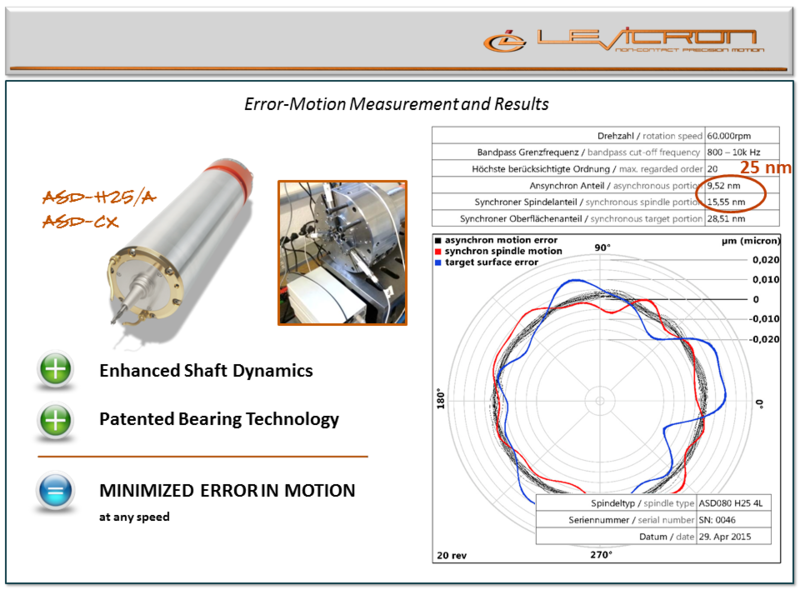 As rotation speeds for Levicron products exceed the technical capability of any commercially available solution Levicron developped tailor made hard- and software to verify their products Error-Motion specifications. 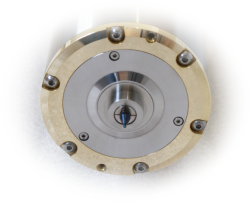 Our tool spindle models ASD-H25, ASD-H25A and ASD-Cx are specified and verified with a Spindle Motion Error of less than 30 nm. The optimized design also compensates for axial growth. 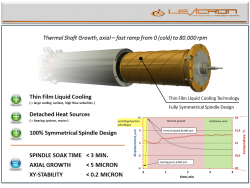 Where the centrifugal load on the shaft causes a reduction on length, the increase in temperatur causes an increase. 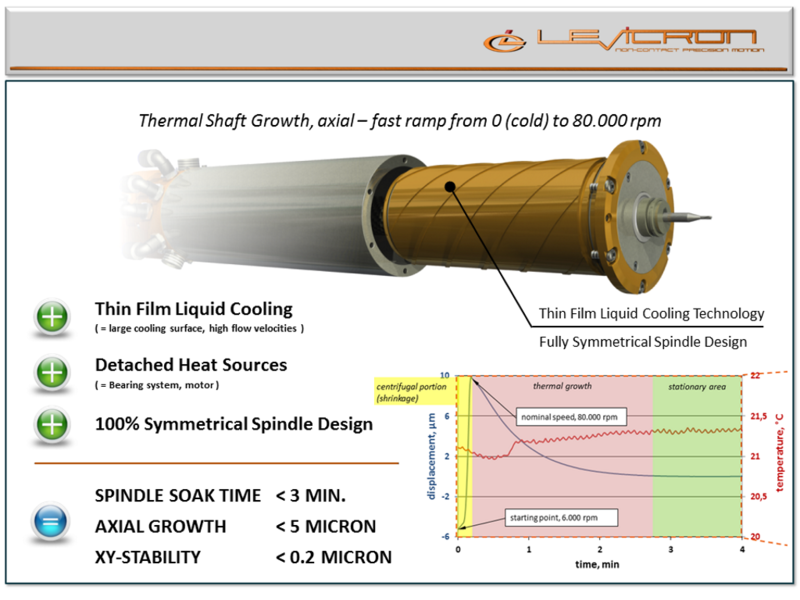 That’s why a total axial shaft growth of less than 5 micron from cold and standstill to 80.000 rpm and warmed through could be achieved. 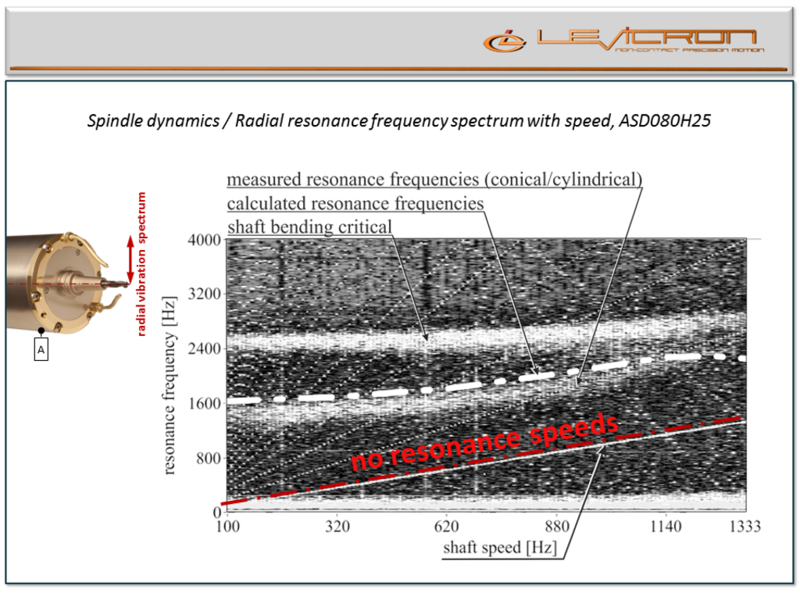 With our ASD060H25 and ASD060Cx and 60.000 rpm even a value of under 3 micron can be specified.